The Air Force has put the brakes on orders for coffee cups that cost $1,280 apiece. Those attempting to requisition a new hot cup via the Air Force supply system will get a message telling them “Do not order until further notice,” Air Mobility Command spokesman Col. Chris Karns told Air Force Times on Tuesday. Airmen found a way to 3D print replacement parts for the cup at a cost of about 50 cents apiece, rather than ordering a whole new cup every time one of its easily-broken plastic handles is damaged, according to a July statement from the Air Force. Other options are also being explored for heating liquids on aircraft, Karns said. 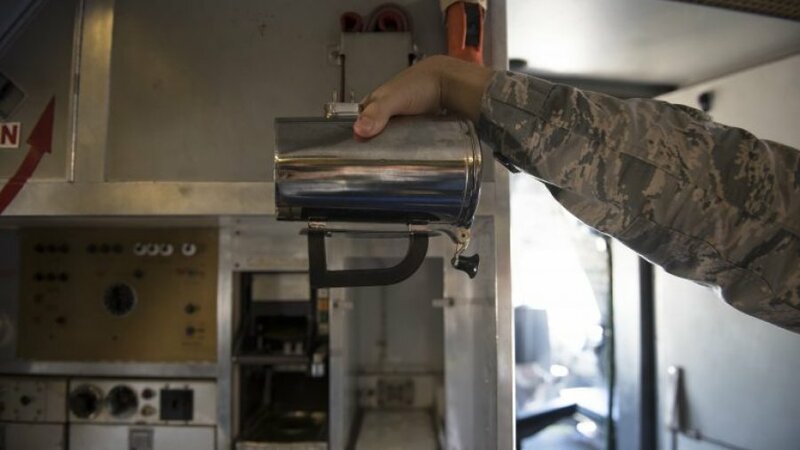 In two years, replacement costs for the mugs, which contain a heating element and are used to heat coffee and tea on aircraft, have gone up more than $500 per cup, leading the service to spend $32,000 this year for just 25 cups, according to the Air Force. The Air Force has purchased 391 of the cups for $336,785 since 2016, according to a letter that Wilson wrote in reply to Grassley’s queries. But why the price increase? The water heaters are used across the Air Force cargo fleet on 59 KC-10s, 52 C-5s, and 222 C-17s, Wilson said. Because the cup is plugged into the aircraft, replacements require FAA airworthiness certification, Wilson said. With planes aging, and the average KC-10 at 34 years old, it’s harder and harder to find replacement parts for those aircraft, she said. Many suppliers have stopped producing parts or have gone out of business, Wilson says, noting that the Defense Logistics Agency also said that copper and chrome plating costs have increased 180 percent in the past two years.